SIMD stands for 'Single Instruction and Multiple Data Stream'. It represents an organization that includes many processing units under the supervision of a common control unit. All processors receive the same instruction from the control unit but operate on different items of data. 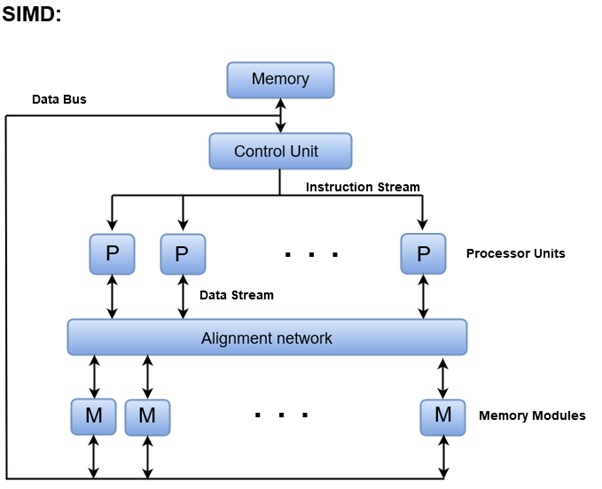 The shared memory unit must contain multiple modules so that it can communicate with all the processors simultaneously. SIMD is mainly dedicated to array processing machines. However, vector processors can also be seen as a part of this group.